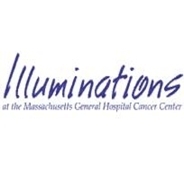 The review committee of Illuminations is pleased to inform you that your work has been chosen for display in the Massachusetts General Hospital Cancer Center. We would like to accept all of paintings that you submitted for review. As you know, the mission of Illuminations is to create a visually healing environment, offering enlightenment, inspiration, and encouragement to patients, family members, friends and staff through the visual arts. We believe your work reflects that ideal and will bring joy to many men, women and children whose lives have been touched by cancer. We thank you for submitting your work for consideration. Your work will be displayed in the February 2012-June 2012 exhibit. A formal letter will be mailed to you with more details." Little did I realize how far this would be going when I painted this first piece in public on top of Mt. Battie in Maine. At that time I thought I would do 3 to 5 pieces. Now there are 18 in the exhibit (still on display at tthe Topsfield Library) and I have completed two since the exhibit opened. And I am still painting. That is fabulous news, Lynne. How lovely to know that your work is offering healing to so many more!